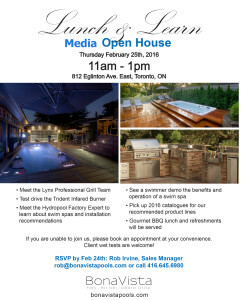 What: Jennifer Gannon, Proprietor, BonaVista Pools and LeisureScapes is hosting her annual winter/spring media event next Thursday http://www.bonavistapools.com This is a great opportunity to chat outdoor kitchens and pools including; swim spas and hot-tubs, for 2016. 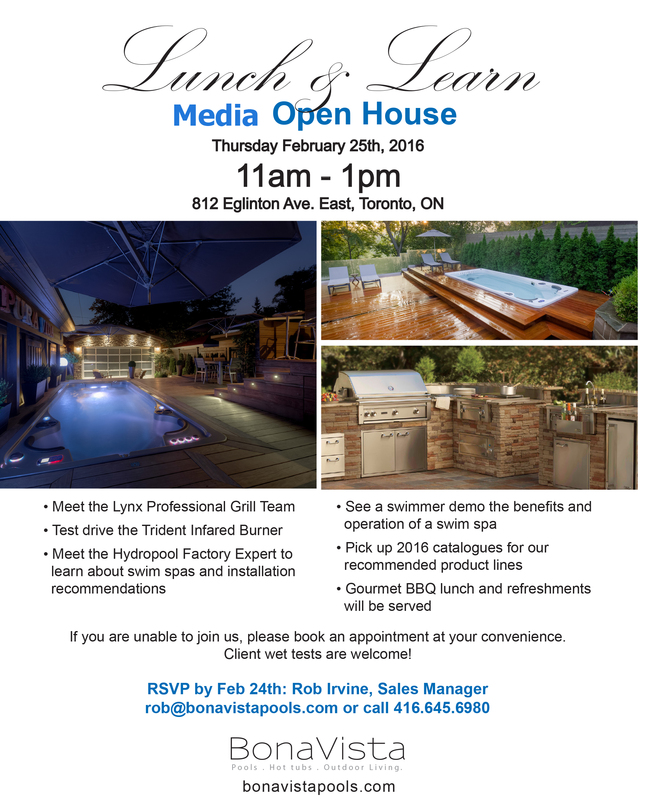 Come chat, taste or swim! Everything in the studio will be operational in case you want to wet test anything. And the BBQ’s will be fired up with lunch.